BlackBerry’s newest Android smartphone is a wonderful choice for smartphone users who like options. With a choice of 2G, 3G or 4G, depending on the distributor, users have the ability to use their BlackBerry Z10 as a virtual office. While only offering black and white versions of the BlackBerry Z10, users who want different colors will be able to purchase virtually any color of cellphone skins (protectors) that will not impede their use of the smartphone. Users can customize their smart phones to match their own individuality. The LCD (liquid crystal display) touchscreen has a resolution of 1280 x 768 and is 4.2 inches in length, which offers wonderful clarity. The new improved BlackBerry is sleeker now that the ridges of its predecessors are gone. The back panel is a soft touch anti-slip panel and the front cover is highly polished and non-ridged making the front cover sleek and esthetically pleasing. 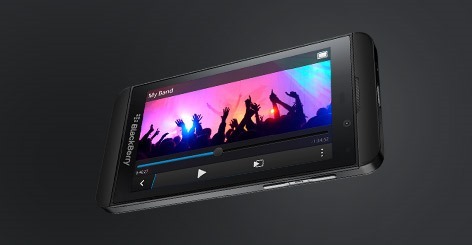 The software in the BlackBerry Z10 offers a dual core 1.5 GHz CPU (central processing unit,) Adreno 320 Graphics GPU (graphics processing unit) with a memory of 2 GB and storage of 16 GB with a micro SD slot for up to 32 GB cards. The BlackBerry Z10 operates its own OS (operating system) called BlackBerry 10. 312 hours in standby mode, and talk time of 10 hours are supplied by a Li-Ion 1800 mAh battery allow plenty of time for users to talk, text and email. Leaving lots of time before recharging is required. Battery life extends a user’s work day, and as smartphones have become a vital part of user’s lives, therefore so have batteries. The BlackBerry Z10 offers many features such as SNS integration, HDMI port, Wi-Fi and Bluetooth 4.0 ready. The Z10 is enhanced by its MP3(WMA/ WAV/ eAAC+ / FAC for your music, and MP4 (DivX/ Xvid/ WMV/ H.263/ H.264) players and has virtual office capabilities of BlackBerry Maps, Organizer, document viewer, photo viewer, voice memo/dial and predictive text input. Sensors built into the BlackBerry Z10 are GPS (global positioning system,) Accelerometer (detects the orientation of the smartphone and is used so that images are displayed upright and reduce image blurring,) Digital compass (aids with geo-tagging) and Gyroscope (measures and maintains position and orientation.) These sensors are integrated into the hardware and are vital for the operation of certain applications. There are two cameras on the BlackBerry Z10. The front facing camera is a mega pixel camera. The rear facing camera is an 8 mega pixel with LED (light emitting diode) flash. Both cameras have geo-tagging, continuous auto focus, image stabilization and face detection. Images are customizable with geo-tagging and it is easy to share images via SNS (social networking service) integration and email. 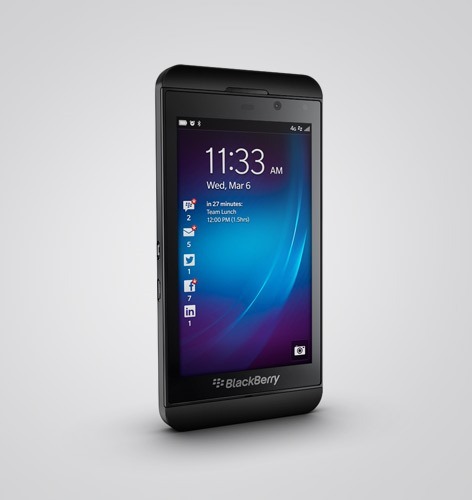 The BlackBerry Z10 is one of the two new BlackBerry android smart phones being presented at the 2013 BlackBerry 10 Event. This new smart phone will be available at Bell Mobility, Virgin Mobile Canada, Mobilicity, MTS Mobility, Rogers Wireless, Fido, SaskTel, TELUS Mobility, Koodo Mobility, Videotron Mobile and Wind Mobile. Author Bio: John S Lam is a content writer at Test4Prep. Its provide you 100% 1Y0-A15 Exam . Let’s take benefit of 1Y0-A22 Exam material efficiently and get guaranteed success. Check out free demo of all certifications Exam.